Soaring mountains, picturesque beaches and quaint villages--Mexico's got a little something for everybody and it's just a quick hop across the US border to experience life with a Latin flair. 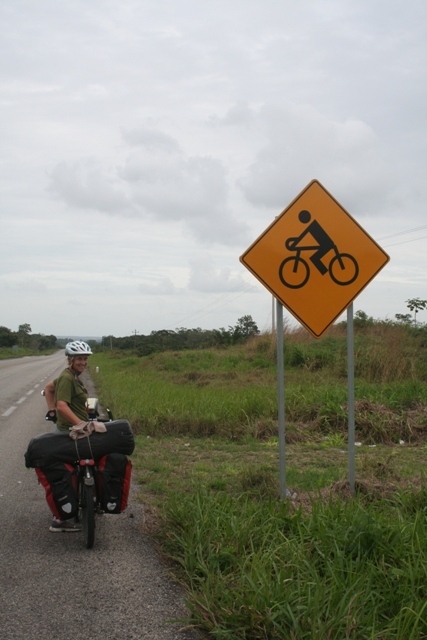 If you're not ready to delve into the unpredictability of bicycle touring in the developing world, Mexico's the perfect stepping stone between first world comforts and third world chaos. The most popular cycling route through Mexico is down the Baja Peninsula, catching a ferry to mainland Mexico. We skipped this classic route (alright, we just wanted to be different) and forged our own route down the Pacific coast. In all honesty this was very disappointing cycling, so you'll probably do better to stick with the well-worn Baja route. Roads in Mexico run the gamut from Toll Roads (cuoata) which are perfectly smooth with wide-shoulders perfect for biking. Riding the toll road is actually the safest place to be since there's little traffic and ample room for you to ride. The problem is that these roads skip all the towns, so you could be just about anywhere in the world and you're missing out on the real flavor of Mexico. Highway riding can be quite dangerous in Mexico. There are many large trucks to contend with, lots of buses blazing past and the usual impatient mini-bus drivers. Wide shoulders are a rarity. Beware of the topes (speed bumps). Every village has got some, so don't go roaring down the road or you might take a tumble. We found our way around with Reise Know-How's Mexico Map. It's water and tear resistant which makes it perfect for cyclists. Hotels are pretty reasonably priced in Mexico. You can get a clean room with attached bath for around $10. Of course you'll want to check out a few places because quality varies considerably. In tourist spots and major cities, you might pay more. 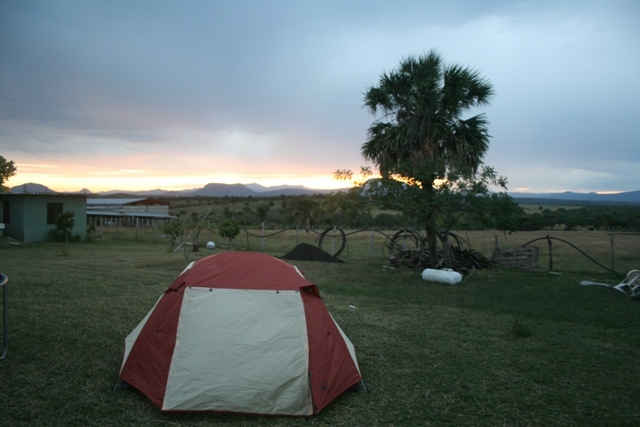 Finding a safe place to camp is not too difficult in Mexico. Locals are very friendly and if you ask around town at the church, school, farm or fire station someone will find a place for you to pitch your tent. Small towns are generally quite safe in Mexico, and we never felt any security concerns camping in villages. Be extra careful when searching for a hidden spot to camp, because there are plenty of drug runners and human traffickers trekking around the countryside once darkness falls. Couchsurfing is becoming more popular in Mexico and you will find plenty of hosts in major cities. Most couchsurfers are under 25, university students or recent graduates and live with their parents. 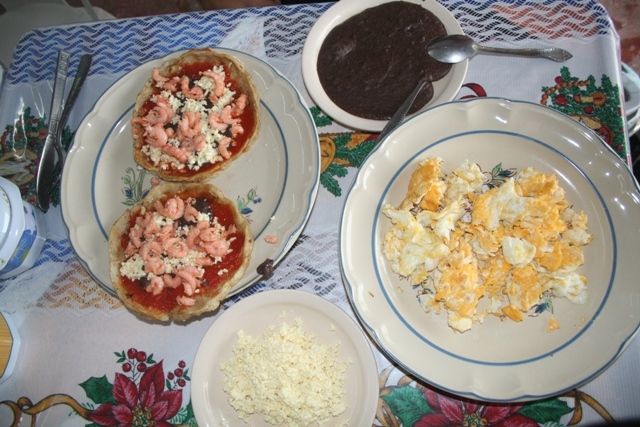 Couchsurfing in Mexico was an excellent experience for us--great hospitality and lots of Mexican moms who like to spoil travelers with delicious meals. Hosts in Mexico are very respectful of privacy, and we were often given separate guest accommodation. couchsurfing. Mexico isn't ultra-cheap as it once was. A basic breakfast of coffee, eggs, and beans will set you back around $2.50 in a simple (non-touristic) roadside restaurant. A decent lunch or dinner in a basic restaurant will cost around $4, drinks not included. Internet is a bargain ($.50 per hour) and you'll find lots of quick connections, even in the smallest of villages. Mexico's got a drug war in full swing so you'll see plenty of well-armed military on the streets, particularly near the US border. Although tourists aren't being targeted, you won't want to get caught up in cross-fire so use common sense and an extra dose of caution. You should be fine. We were stopped at numerous police/military checkpoints and our bags were searched on three occasions. Just routine procedure, we were told. Military and police are friendly and professional, so you shouldn't have to worry about any hassles. Large cities are generally not very safe after dark, so plan your riding accordingly. Smaller towns are generally no problem, just as safe as rural areas in Europe or the US. Any advice or questions about Biking in Mexico? Please send us an email or share in the comments section below.